This 2019 Catch the Moment 365 Week 11 was a major win for me. Why? I ended up with a single photo for the full 7 days. Not so good news? They are all mainly Roxy. Lack of inspiration otherwise I’ll say. Sadly as I started to write this I all of the sudden started to feel pretty yucky. My head hurts and my tummy is doing weird flips. I think I am going to get this posted and try and lay down for a bit. For now, want to see what I did end up with for this last week? 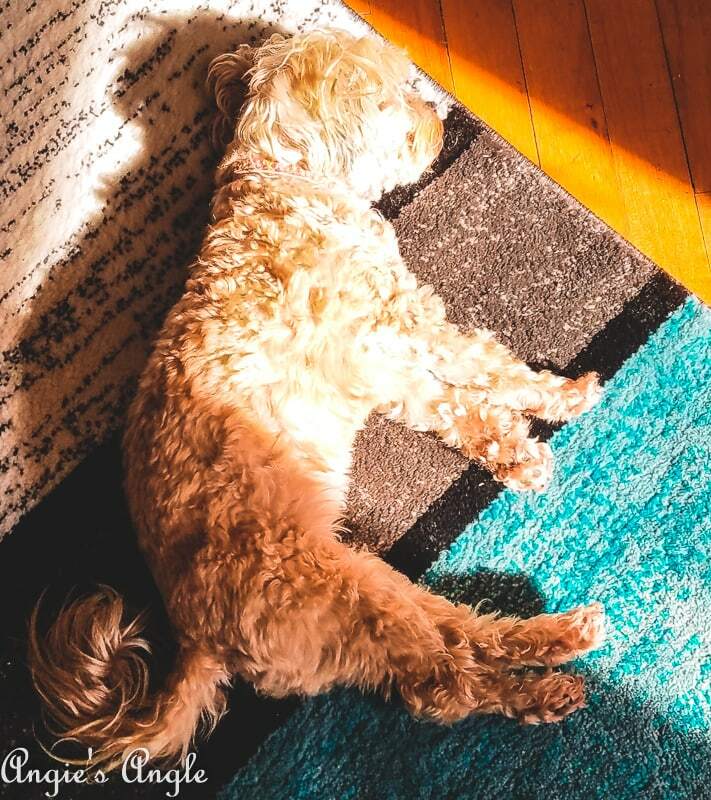 Day 78 – Tuesday, March 19th – Roxy enjoying the sun patch on the nice soft comfy rug. Smart girl. Day 79 – Wednesday, March 20th – The whole last week we took Jason to work. Which meant getting up much earlier than either Roxy or I were used to and leaving the house just as early. 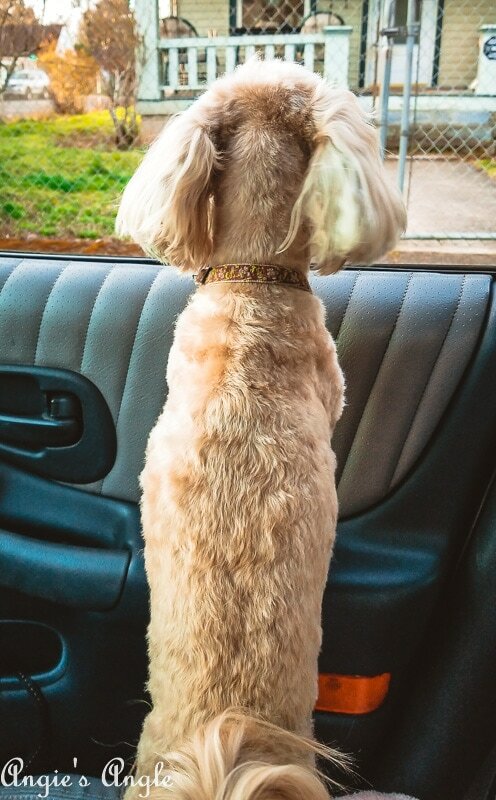 Roxy was confused but enjoy the little bump in the routine and the extra window time. 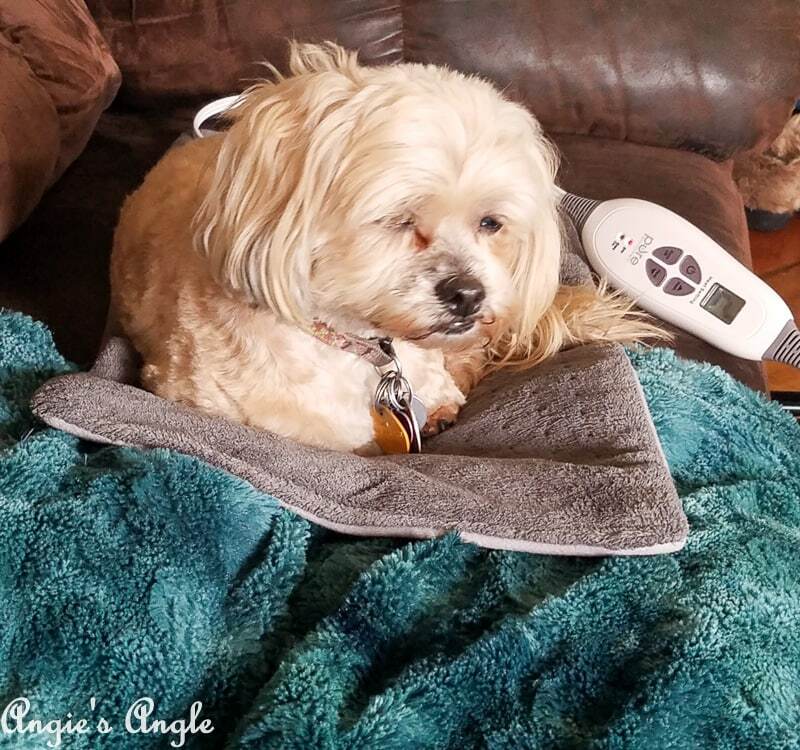 Day 80 – Thursday, March 21st – Was getting ready to lay down with the heating pad and Roxy decided that the heating pad sounded like a lovely idea and stole it from me. 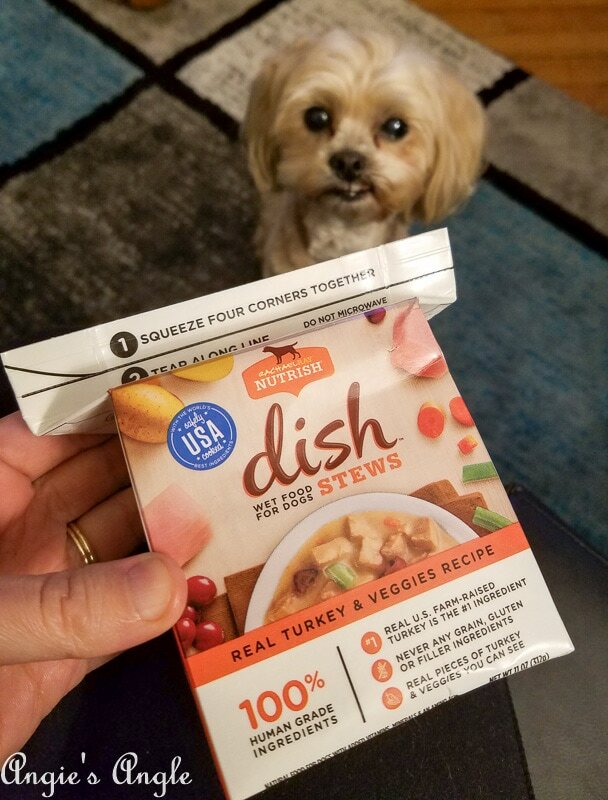 Day 81 – Friday, March 22nd – Roxy received a box of goodies from Influenster & Rachael Ray Nutrish. We did an unboxing on instastories and she was eager to open the box to give it a taste test. It reminded me of a soup for dogs (very human looking) and she enjoyed it! 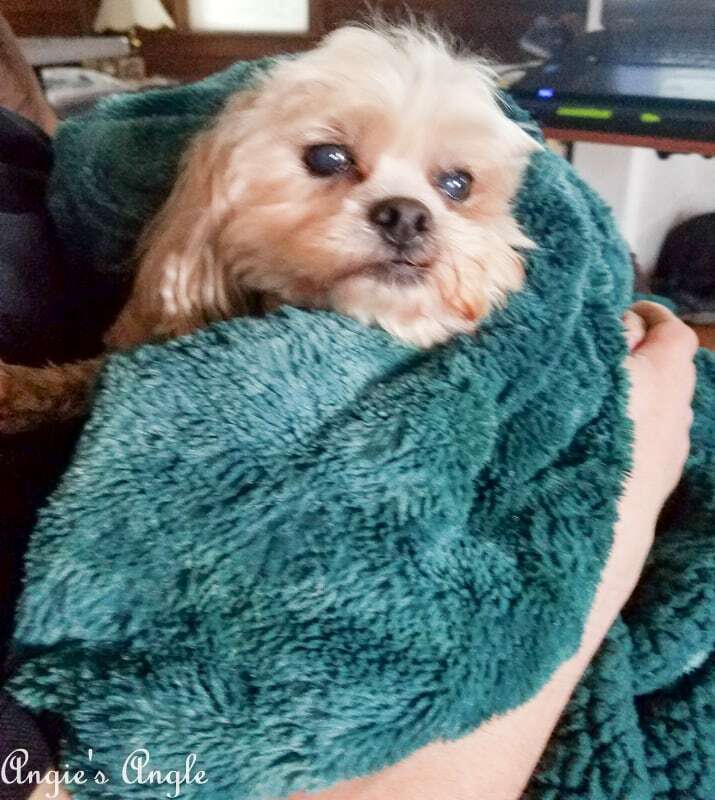 Day 82 – Saturday, March 23rd – Roxy getting forced cuddles from Daddy. Gosh her eyes look awful in the last couple photos. I swear they don’t normally look that white washed. Day 83 – Sunday, March 24th – Was a day full of house cleaning while Jason did a bit of yard work. He was finally able to see well enough to get out there and do some good start work on the yard. 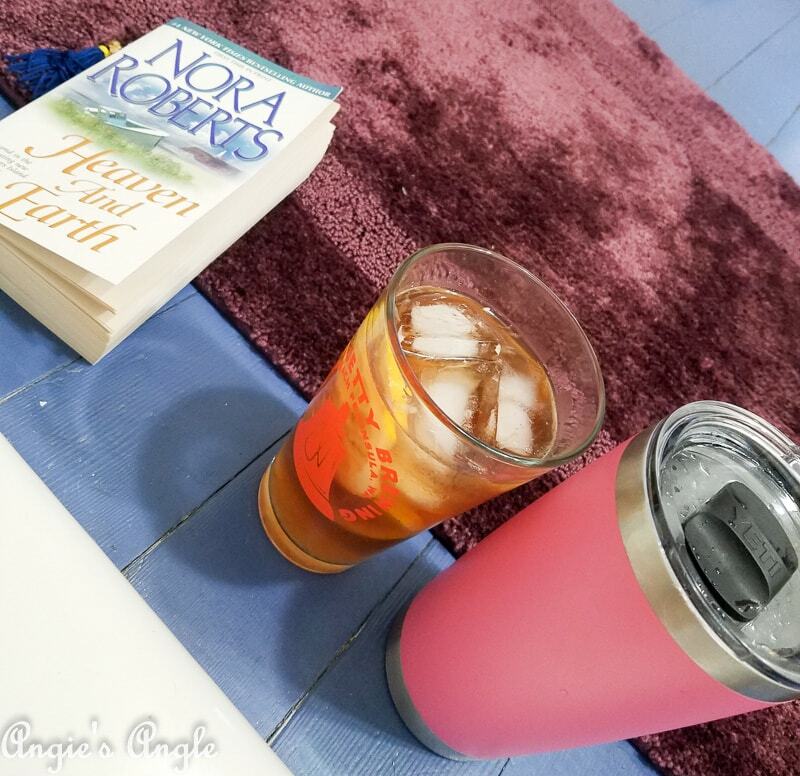 After I finished, I decided to take a bath bath where Jason fixed me up a nice hard iced tea! Yum! Bath essentials is what I call this line up. 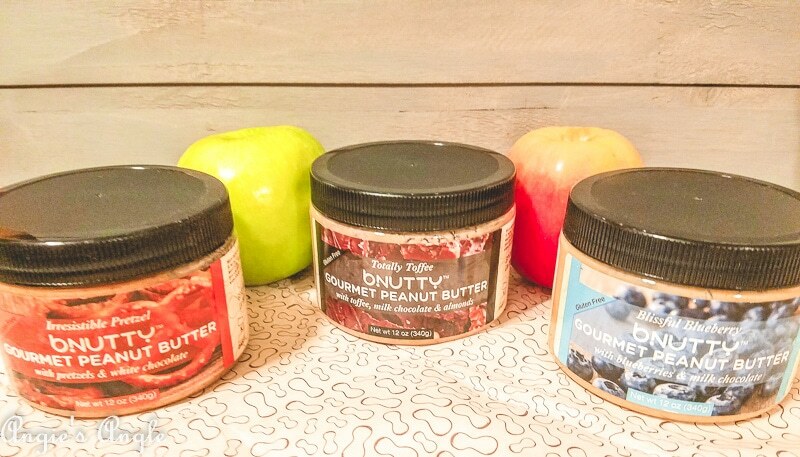 Day 84 – Monday, March 25th – We received a yummy package of gourmet peanut butter from bNutty and boy is it a tasty line up. Jason is already almost finished with the toffee with chocolate & almonds, he loves it.